Having had their previous single championed by Maya Jane Coles and Mixmag, Swedish producers, you could say Franskild had quite the year last year. The duo’s previous EP, Eden, was described by Mixmag as “melancholic, dreamlike house music” and led to an opportunity to remix Maya Jane Coles track, Burning Bright, as well as reworking DEVolution’s With U. 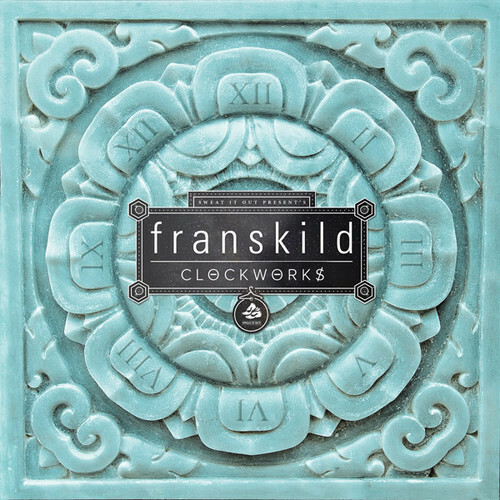 On their new single, Clockworks, Franskild create a deep and dark production made up of heavily percussive – in fact, timpani sounding – synths paired with smooth club beats. If we’re honest, Clockworks would be right at home in a Maya Jane Coles set with the duo opting for a similar styling to that of Coles’ excellent Comfort album of last year. The lovely, almost folk-y, vocals of Rebekka Ojensa give the song a distinctive and unmistakably Scandinavian quirk, and demonstrates the pair’s appreciation of melody and songcraft. Clockworks will be released as a single on 21 February, 2014 on Sweat It Out! Records.